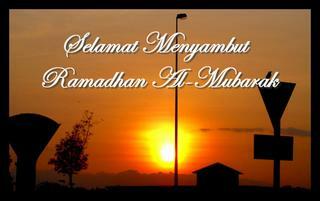 alhamdulillah, i managed to live till this month of ramadhan. here i am, just finished the tarawih at this big surau at taman melawati, kuala lumpur. somehow or rather, i feel very welcome to this ramadhan month this year. feels like very happy and fortunate. a lot of people around the world just can’t live till this ramadhan due to certain reason or another. they died to see the almighthy. let’s make full use of this ramadhan because you’ll never know whether you’ll live up to the next ramadhan. don’t shop till you drop but pray as if you gonna die the next second. Nice blog, Very useful information here, Thanks for sharing.